A blistering first week in the Premier League! After a fantastic first week on the return of the Barclays Premier League, I can safely say the football on show did not disappoint! There was a number of surprising results that really did herald the return of the greatest league in the world. Personally, I was looking forward to a number of big clashes this weekend. Amongst them were Everton Vs Manchester United, Newcastle United Vs Tottenham and Manchester City Vs Southampton. 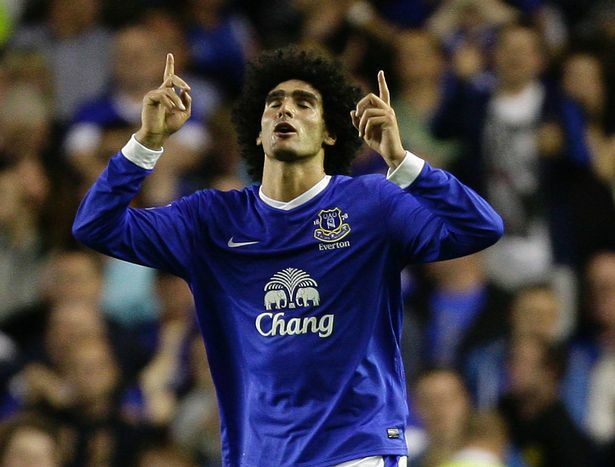 A fantastic game at Goodison Park saw Everton come away with a priceless 1-0 victory over Manchester United. Although much of the pre-match talk was of Manchester United and their prospects for the season ahead, it was Everton who started their campaign with an unfamiliar win. A man of the match performance from the Belgian midfielder Marouane Fellaini was the difference for the Toffees, as his aerial prowess, strength and brilliant touch was too much for a makeshift United defence to handle. Although, I felt that Manchester United would have enough quality in attack with Rooney, Kagawa, Cleverley and new signing Robin Van Persie, the Everton defence held strong all game and arguably had the better of the chances during the match; with Leon Osman hitting the bar and De Gea making several smart saves throughout the game. Ultimately, I think Everton deserved the victory as they took advantage of United’s defensive frailties and remained strong at the back throughout. In my opinion, Newcastle Vs Tottenham was one of the most anticipated games of the opening weekend. The two sides impressed greatly last time out in the battle for the final Champions League slot, and offered some encouraging signs that we would see the same again this season. Tottenham’s first game under Andre Villas-Boas was to prove disappointing for Spurs fans who saw their team go down 2-1 to a Newcastle side who have continued in the same vein of form that saw them surprise the Premier League last season. Demba Ba (whose form seemed to suffer a bit last season with the arrival of Papis Cisse) capitalised on a poor defensive header from Kyle Walker to bend in a sublime effort from just inside the 18 yard box, leaving Brad Friedel with little chance in the Spurs net. Jermaine Defoe managed to level for Tottenham in the second half but a Hatem Ben Arfa spot kick on 80 miniutes was enough to win the game for Newcastle. The defending champions Manchester City faced newly promoted Southampton in their first fixture of the new season which proved a tougher test than most had anticipated. City’s problems began early on when Sergio Aguero was stretchered off with a knee injury after 13 minutes and then David Silva surprisingly lacking in composure and missing a penalty. Although City enjoyed an overwhelming amount of possession and took the lead through a Carlos Tevez goal, the Saints replied with goals from Ricky Lambert and Steven Davis to add to City’s woes. However, after a spate of chances, Edin Dzeko managed to level on 72 minutes. Samir Nasri was then on hand in the 80th minute to convert from a Geal Clichy corner to secure a 3-2 win for Mancini’s men, who have started this campaign in the same dramatic fashion that ended last one. There were some encouraging signs for Southampton who managed to score two past a title winning defence that remained solid for the majority of last season. A blistering start for Chelsea saw them score two goals in the first 10 minutes of the game against a Wigan side who poorly. A world class touch, turn and pass from the first of Chelsea’s summer signings Eden Hazard, put Branislav Ivanovic through on goal who managed to slot the ball past Al Habsi in the Wigan goal. Hazard then showed his attacking prowess with a run in the box that saw him brought down by Ivan Ramis to win a penalty, from which Frank Lampard duly applied the finish. The score remained at 2-0 for the rest of the game, however, Wigan did seem to galvanize after their poor start but did not manage to get the goal that would have given them some hope. Some of Athletics most promising signs came from Victor Moses who showcased his talents on several occassion by beating Ashley Cole and testing Petr Cech. However, Chelsea were able to see out the game at 2-0 to give Di Matteo a perfect start to the new campaign. A lack luster performance from QPR was a great surprise to me. I expected lessons to have been learned from last year’s horrendous start against Bolton or at least for Rangers to perform at a similar level to the last game of the previous season. Their squad contains lots of Premier League experience with Rob Green, Anton Ferdinand and Nedum Onouha starting in defence and yet they seemed to be so unorganised with no one willing to take charge of the backline and offering little in terms of a goal threat. This was always going to be a recipe for disaster for QPR and thus they went down 5-0 to a magnificent Swansea side in their first game under Laudrup. It is also a delight to see that Swansea have maintained the passing style that was such a joy to watch last season under Brendan Rogers and I am looking forward to seeing them in action again. Another great surprise was Liverpool’s opening day 3-0 loss to West Brom. Although the Baggies have made a few noteworthy signings in terms of Liam Ridgewell and Romelu Lukaku, I felt that Liverpool’s squad should have been too strong for them to deal with. The number of world class players they have at their disposal in comparison to Steve Clarke’s Albion should have been more than enough for the Merseyside club to claim victory. Even though Liverpool controlled the early stages of the game, a lack of quality in the final third as well as defensive frailties ultimately cost them. Daniel Agger collecting a harsh red card did exacerbate Liverpool’s defensive problems which saw them concede two penalties during the game. Credit is definitely due to West Brom who although lacking in possession created many chances and made their pressure tell. 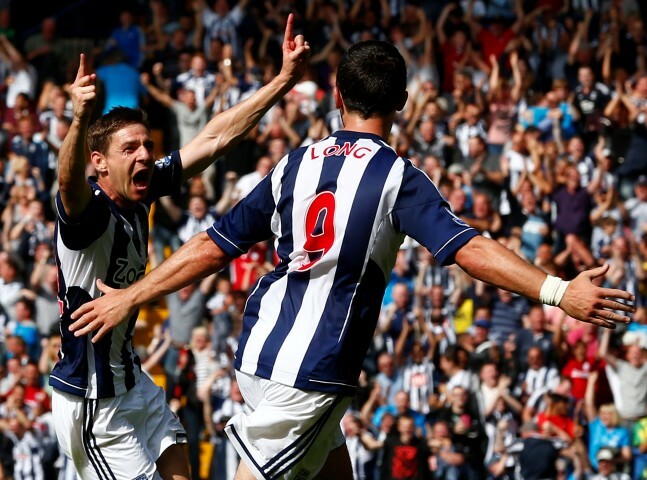 A stunning strike from veteran midfielder Zoltan Gera was one of the highlights of the Baggies victory. By no means could I have predicted that Fulham would beat Norwich by 5 goals to nil. Fulham controlled the game from start to finish and fully deserved their emphatic victory. Damien Duff opened the scoring on 26 minutes from a Riise crossfield pass, then two goals from debutant Mladen Petric either side of the interval put the Cottagers 3-0 up. The highlight of Fulham’s play was the midfield display from Moussa Dembele who controlled the middle of the park for the majority of the game and showed just why he has attracted interest from several clubs over the summer. A goal from Kacaniklic and a Steve Sidwell penalty rounded off a fantastic display from Fulham. There was very little, if at all anything positive about the Norwich performance and Chris Hughton looks set to have his work cut out for him this season. Although, many will see a draw for Arsenal as a bad result against what is perceived as weaker opposition, I believe there were some encouraging signs for the Gunners. Santi Cazorla showed his talents playing in an attacking midfield role just behind the striker. The Spaniard linked up well with the other two new signings Lukas Podolski and Olivier Giroud (when he came off the bench) in the final third of the field but just could not manage to provide the finishing touch against a solid Sunderland defence. Given some time to gel, I think Arsenals summer signings will do well especially playing alongside Mikel Arteta and Jack Wilshire when he returns from injury. There was no surprise that Sunderland’s biggest threat came from the young Irishman James McClean and Stehpane Sessegnon, and I believe that the Black Cats definitely showed they can perform against the bigger sides in the league. One of the games that has been overshadowed by the goal fests that occurred elsewhere was West Ham Vs Aston Villa. A Kevin Nolan strike on 40 minutes was the only goal of the game which saw West Ham take all three points from their first game back in the Premier League. Although the East Londoners started slowly, they grew in confidence as the game went on with the strong figure of Carlton Cole leading the line along. He was supported by Kevin Nolan and Ricardo Vaz Te who offered the goal threat off the big front man. Villa started the game relatively well but struggled to find any cutting edge to get behind the Hammers defence and beat Jussi Jaaskelainen. Overall, a solid 1-0 win gives West Ham the start they needed back in the Premier League and although Aston Villa by no means looked as poor as they did at points last season, there is some work for Paul Lambert to do if the club are to have a successful season. Another of the less talked about of the weekend games was Stoke Vs Reading, and the Premier League new boys gave a good account of themselves in this fixture. A battling performance from Reading against a strong and physical Stoke side was capped off by an Adam Le Fondre penalty in extra time. Although Reading had the better of possession through the majority of the game; Stoke once again provided a resolute defensive display, of which they have become renowned for since entering the Premier League. This made for a well contested match between the two sides and no doubt Reading will be happy with a point from their first game against a tough opposition. Overall, it was a great first weekend in the Premier League and I will be very happy if it continues like this for the rest of the season! I’m sure football fans can look forward to seeing plenty more goals and drama in the upcoming games over the bank holiday weekend.